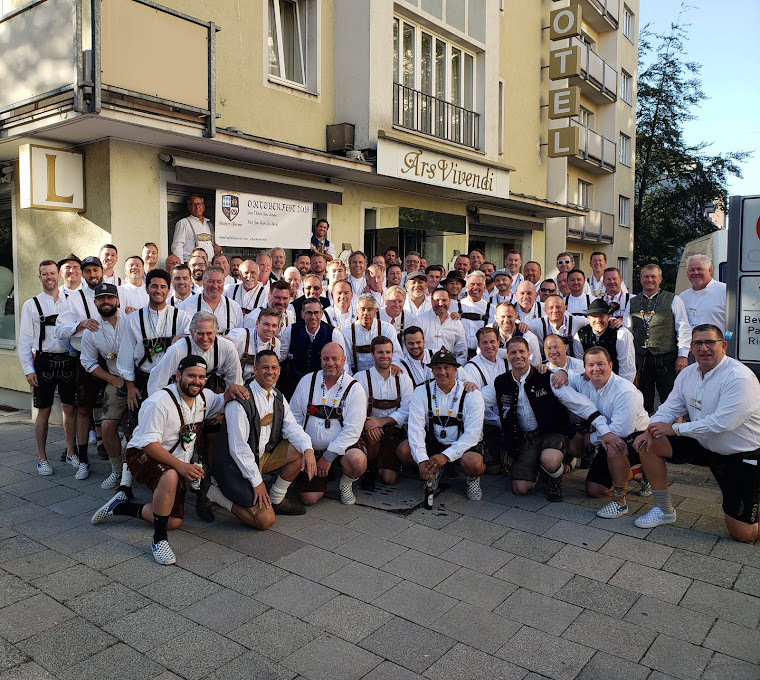 Barons Jewelers was the site where 40 guys got together and enjoyed some great times together reliving the fun and frivolity of Oktoberfest 2018. We saw some old friends and made some new ones. Great German food, HackerPschorr beer and the debut of the highlight video from Oktoberfest 2018. Thanks to Ruby Hill Winery for helping out and ensuring a good time was had by one and all. We are looking forward to another good time April 4 in Chicago when we have our first Midwest version of the reunion. It'll be at world famous Berghoff restaurant. Prost!